Since volumes 41 (general) and 101 (Poland) it's high time TDATS returned to eastern europe, so here we concentrate on heavy stuff that originated in the Serbian part of the former Yougoslavia. Unlike some might suspect, the Tito dictatorship did not interfere with the influence of incoming western pop music, or people's general enjoyment of popular music. Rock music flourished in Yugoslavia from the '50s onward and as you will hear in this comp, a lot of great talent emerged. 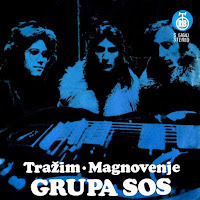 The first Serbian '60s bands during the age of beat and rhythm & blues included Siluete, Elipse and Džentlmeni, all mentioned here as certain members were in some of the heavier bands coming up. I must thank tdats fan Adam Burke, front man of Pushy and Fellwoods, and brilliant artist, for drawing a cover especially for this volume. It is inspired by the Psoglav, a werewolf-like demonic creature in Serbian mythology which bares iron teeth. Another thanks goes to the blog Jugo Rock Forever, one of the best sources of Yugoslavian rock. Up until the early '70s, Serbia's only rock releases were on 7 inch singles and EPs. The first full-length rock album was Korni Grupa's debut LP in the comparatively late year of 1972, they were also the first Serbian band to play hard, progressive rock, which is shown in this comp with one of the oldest tracks here, a 1970 single of theirs. 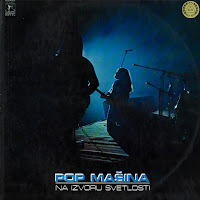 The three other bands that heralded the beginning of Serbian hard rock were Yu Grupa, Pop Mašina (Pop Machine) and Smak (Endtime). From 1973 onward they started releasing excellent albums, displaying impressive technical skill, but also plenty of soul and passion. Smak stood slightly apart in their inclusion of jazz-influenced prog sounds, but they were also satisfyingly heavy. All three took clear influence from the pioneers like Cream, Led Zep and Black Sabbath, but also had their own Balkan flavour, giving them a refreshing slant that holds them up on their own merits. Indeed, of all the smaller regions I have studied so far for TDATS, with a consequently small number of bands, I can safely say that Serbia is right up there at the top regarding the consistent quality of what music there was. Discovering these bands has been an especially enjoyable experience which, by all accounts, will be repeated when I turn to neighbouring countries like Croatia, Bosnia-Herzegovina and Slovenia for later episodes. I can't wait! 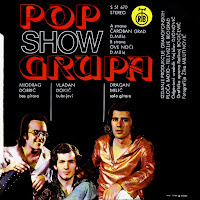 The main music festival of Yugoslavia in the '70s was Boom Pop, which ran from 1972 to 1978. It was initially held in Tivoli Hall, Ljubljana, Slovenia. During it's seven years it moved to Croatia and ended at Novi Sad in Serbia. Of the bands included in this volume, those that appeared at Boom were; Pop Mašina (in 1973), Dah (1973), YU Grupa (1973,74 & 76), S Vremena Na Vreme (1974), Smak (1975 & 77), Tako (1977 & 78) and Riblja Čorba (1978). For almost every year, a live double-LP was released featuring performances from the fest. 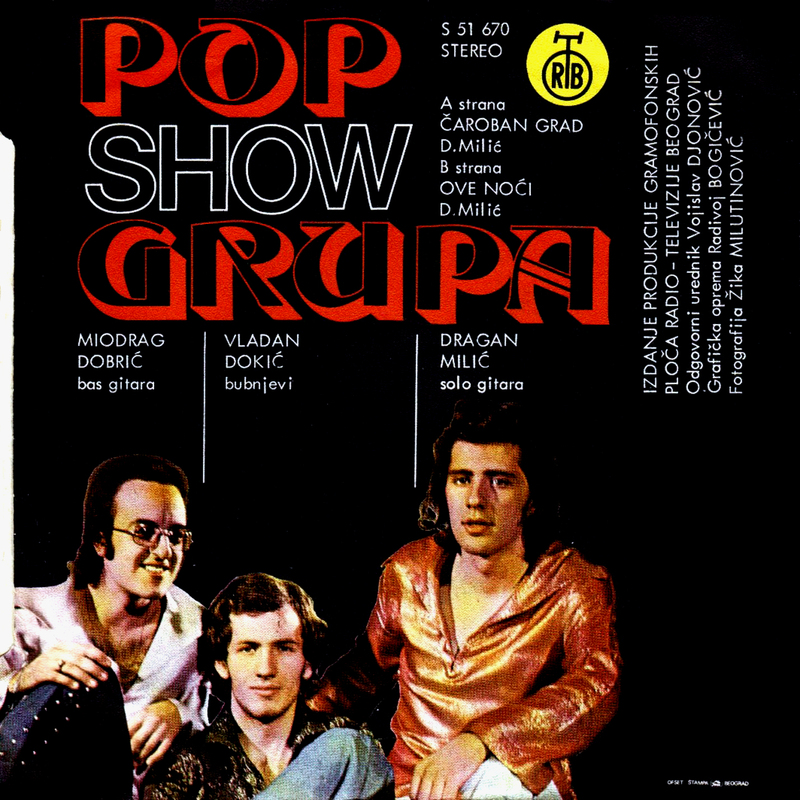 The 1974 edition included three songs by "Pop Selekcija Boom '74", a super group that got on stage just for that year's fest. This group included Dado Topić on vocals/bass, of Korni Grupa. The final year of Boom festival was just when punk was breaking, and so had a decidedly different flavour to those before. As you can see in this magazine article (link) the long hair and bell bottoms was giving way to the safety pins and short hair of young bands like Prljavo kazalište and Paraf. There were only four record labels responsible for putting out the sixteen records appearing in this comp. The winner, with seven of them, is "Produkcija Gramofonskih Ploča Radio Televizije Beograd", or RTB for short. 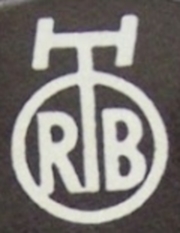 RTB's beginnings occurred when the state-owned Radio Belgrade bought two record presses in 1951, with the original intention of archiving pre-existing recordings. In 1952 it pressed fifteen 78rpm singles of new music under the label "Jugodisk". It became Radio-Television Belgrade in 1959 with the advent of television, and went on to become the second-largest record label in Yugoslavia. After the Yugoslavian breakup in 1993 it became Radio Television of Serbia (RTS). RTB was responsible for the first hard progressive rock records from Serbia, with Korni Grupa's early singles and debut album. The Croatian Jugoton label is the runner up here with five of our records. This was Yugoslavia's largest label. 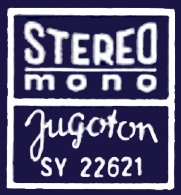 It came into existence when the Ljubljana-based Elektroton label moved to Zagreb and became "Jugoton" in 1947, after nationalisation. By the mid-'60s it was producing 30.000 records a day. Bosnia's Indexi were one of Yugoslavia's first bands to start getting fuzzy on their Jugoton singles like Šabn-Dabn-Šabn-Du-Bajo in 1969 (youtube). The first Yugoslavian heavy progressive LP on Jugtron was the debut of the Croatian band Time in 1972 (youtube). The other two labels were RTV Slovenija, the national label of Slovenia, and Diskos, an independent Serbian label started in 1962, on Which Croatia's Had was one of the earliest progressive bands (youtube). With the exception of Smak, every one of the bands in this volume originated in the capital of Serbia, Belgrade (natively called Beograd), although many individual members were from other countries situated in the former Yugoslavia. 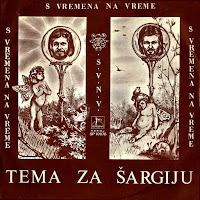 S Vremena Na Vreme opens this set with an instrumental blending folk and fuzz. I took it from their 1975 debut LP and you'll notice I also reprised it for the outro track. They were one of the pioneers of the Serbian acoustic rock scene, and one of the pioneers in incorporating folk music elements into rock music of Yugoslavia, along with Suncokret, also from Serbia. They were good friends of another band appearing here, Pop Mašina, and they would organise free shows together and play on each other's albums. S Vremena Na Vreme had two albums and many singles in the '70s. 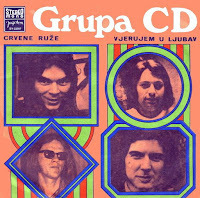 The fuzz gives way to YU Grupa's solid riffing, and this band had a lot of great riffs over five '70s LPs and many singles, being one of the most important, long-lasting and rewarding Serb bands to dig into. They were formed in 1970 by brothers Dragi (vocals, guitar) and Žika Jelić (bass guitar), both former members of beat band Džentlmeni. They have continued to make albums and play live into the 2010s, the last live show having been in 2012 which was unfortunately cut short when Žika Jelić had an electric shock, but he's fine and the band have announced a new album this year. 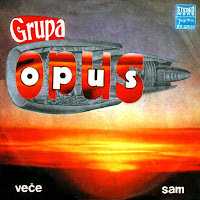 Coming up next is a very obscure act called Grupa CD, so far I have only been able to listen to a couple of sides from the eight or so singles they made between 72 and 74, one of which is a light pop affair. But all is not lost, the other one is a hammond organ-powered monster as you can hear. 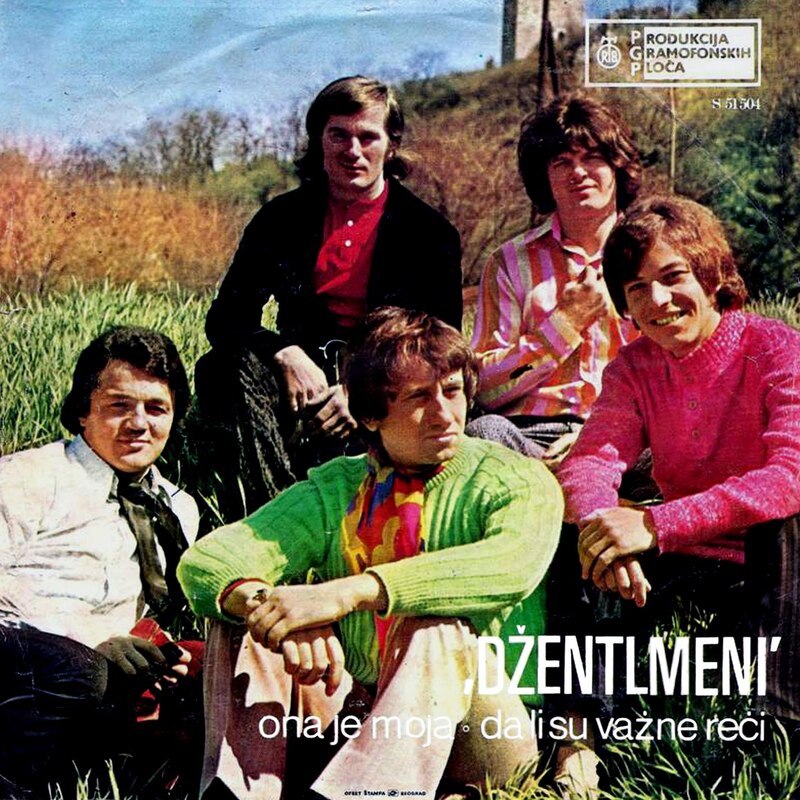 They appear to have had an experienced lineup, with Aleksandar Cvetković and Jovan Miščević of '60s beat band Siluete, and Slobodan Todorović of Siluete and Džentlmeni. I'd love to hear some more of the singles if anyone out there can point me in the right direction! For the fifth track we have another alumni of Džentlmeni, guitarist Zlatko Manojlović. He was involved in other bands including VIS Fles, and Dah, which appears on here later. The track I have used is from the first of his two '70s solo singles, and in the '80s he started making solo albums. In 1975 he guested on Opus's album, who also appear here, and in 1977 he started a prog band called Gordi. 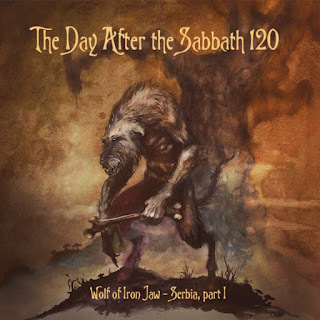 I have checked them out and found the two LPs they made in the '70s to be not so great, but by all accounts Gordi is better remembered for being one of the first Serbian heavy metal bands, which they stylistically morphed into for their final albums in 81 and 82. Smak in front of the Ružica Church in Belgrade. Mihajlović, Zoran Milanović, and Boris Aranđelović. A third of the way through now and we come to another of the most renowned Serbian bands, Smak. They originated in the fourth largest city of Serbia, Kragujevac, so are the only band on this comp not from Belgrade. What immediately hit me about their first single, 1974's "Živim ... Biska 13", is the heaviness and progressive metal-like technicality, which is largely a product of their fantastic guitarist Radomir Mihajlović Točak. Included here is the B side, entitled Biska 16. He is one of the former Yugoslavia's most celebrated rock musicians and his varied skills have lead to Smak being described as everything from blues to jazz rock to hard rock and symphonic rock. We move on to a purely symphonic prog band called Tako, a rarity for the Serbian region at the time. Again they were very accomplished technically, and turned up the riffs a few times, like in the first part of the epic 16 minute "Druga Strana Men" on their self-titled first album. They appeared once before in TDATS on the flute volume 78. Founding member Sava Bojić (guitar, vocals) had been in an early lineup of Pop Mašina. Bassist Dušan Ćućuz was a member of the omni-present Džentlmeni, and he was part of the original Opus. 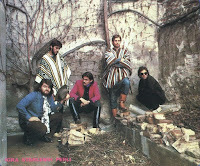 When I first encountered Grupa SOS I was knocked out by the riffs and tone that are very reminiscent of Black Sabbath. Unfortunately they only made a few singles in their six year life-span, and acted as Srđan Marjanović's backing band. 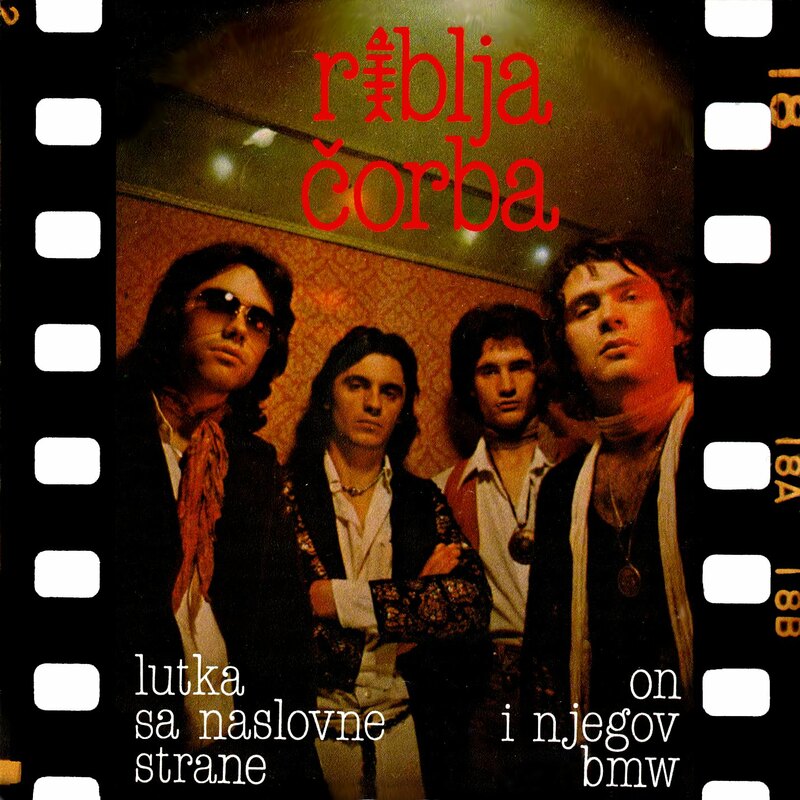 Their legacy continued when in 1978 they evolved into one of Serbia's best-loved hard rock bands, Riblja Čorba, coming up soon. 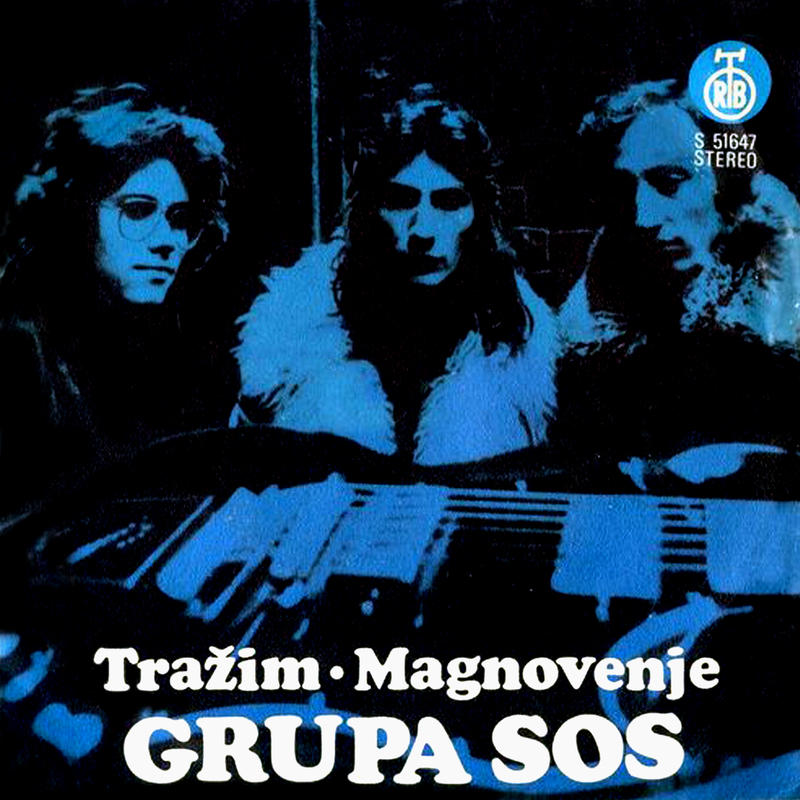 They were founded in '72 by Miroslav Aleksić (bass, vocals), Dragan Štulović (guitar - later in Tunel) and Stevan Stevanović (drums). By '78 only Miroslav remained, with newer members Rajko Kojić (guitar) and drummer Vicko Milatović, all of whom then became Riblja Čorba with the inclusion of former Suncokret & Rani Mraz member Bora Đorđević (vocals, acoustic guitar and songwriter). At the half way mark now and an important band called Korni Grupa. I have taken a track from a 1970 single, which surely must be one of the heaviest things from Serbia at that early stage. As said before, Korni Groupa very obviously progressed from their original sound and made Serbia's first ever full length progressive rock album in 1972, mixing too many styles to conveniently categorise the band. There are elements of jazz, traditional folk, psych, blues, funk, hard rock and symphonic rock on there, with top notch performances all-round. The band is named after it's founder, Serbian-born Kornelije Kovač, who got his first rock exposure in Bosnia's biggest pop group, Indexi. Before that point, he had already become an accomplished composer, pianist, keyboard player, producer and arranger at a startlingly young age. In 1974 Korni Grupa entered the Eurovision Song Contest which was held in Brighton, UK. They came seventh, and I think I can safely assume I won't be saying anything like that about any other bands on TDATS for a while... Kornelije moved to England in 1979 and continued with varied work in music. Whitesnake's Bernie Marsden played on his K2 LP project called "Why?" in 1980 (link). Next up is a track from a one-off collaborative album called Kongres Rock Majstora (Congress of Rock Masters). The idea of this seems to have been to take four well-known Yugoslavian guitarists and give them one side each of a double LP. Supporting them was a host of players from their bands and many others. 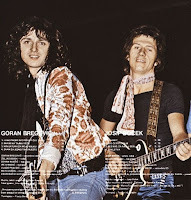 The four main guys were: Miodrag Bata Kostić - Serbian guitarist of Yu Grupa and Opus, Josip Boček - Croatian guitarist of Korni Grupa, Vedran Božić - Croatian guitarist of Time, and Goran Bregović. 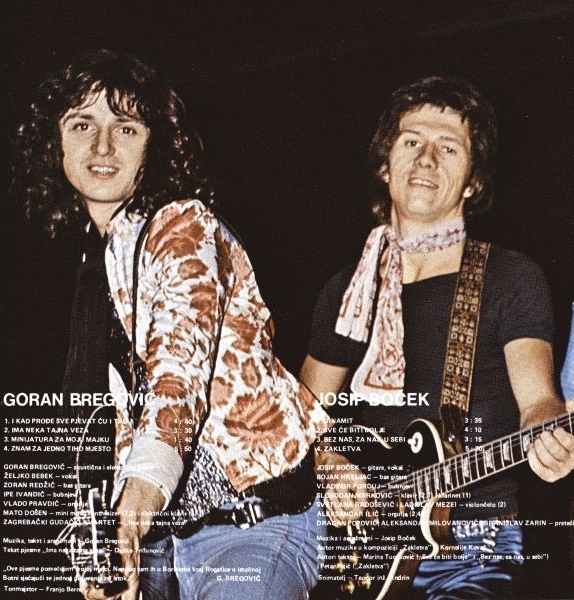 Goran was the Bosnian guitarist of Bijelo Dugme, he is now internationally famous as a composer / score writer. He entered the world of film music in 1989, and became known for his scores for Emir Kusturica's films; Time of the Gypsies, Arizona Dream and Underground. Yu Grupa's drummer Ratislav-Raša Đelmaš, and bassist Žika Jelić (also of Džentlmeni) were in the the support bands. Also bassist Bojan Hreljac and drummer Vladimir Furduj of Korni Grupa. I have used a track from Miodrag Bata Kostić's set, his four songs on side D were all top quality rockers as you can hear! With the kind help of TDATS fb group member Чика Киде, who has made some translations for us, I have found out some more facts about the record. 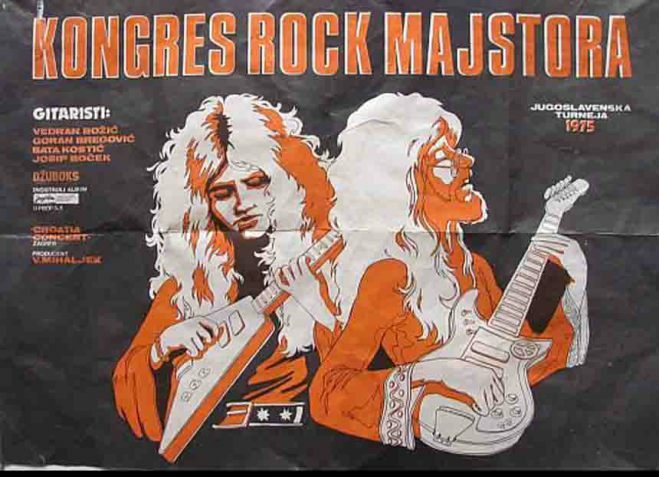 This is what he was able to translate from some press regarding the 2009 Croatia Records reissue of Kongres Rock Majstora: "Kongres Rock Majstora” had the goal to promote the guitar masters of the era. The promotion itself included concerts and media coverage, in which the music magazine “JukeBox” was the main outlet. 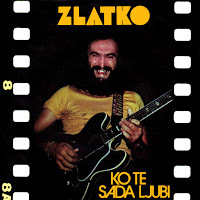 The reason for the appearance of those particular four players, and not other guitar masters like Radomir Mihailović-Točak from Smak, is probably because they played in bands connected to the Jugoton label. Jugoton was the largest Yugoslavian record label and owner of a widespread network of record shops, succeeded by Croatia Records in 1990. Goran Bregović, as the leader of Bijelo Dugme, let Željko Bebek to do the vocals, and for the song “Ima neka tajna veza” he had the support of Zagreb’s String Quartet. 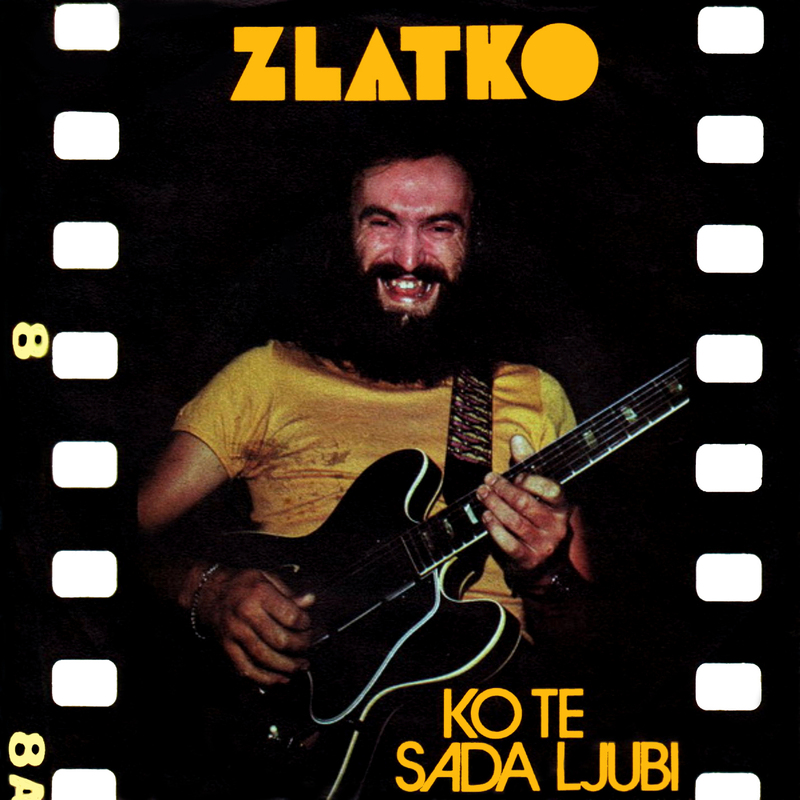 The album featured the instrumental song “Minijatura za moju majku”, as well as two older Bijelo Dugme songs - “I kad prodje sve pjevat ću i tad”, and “Znam za jedno tiho mjesto”. When the double LP was released, critics were not very complementary. There wasn't any significant commercial success or media coverage of the release, and shortly after the entire venture was side-lined. Vinyl collectors across the world have shown a strong interest for this album which commands 100-200 Euros today." 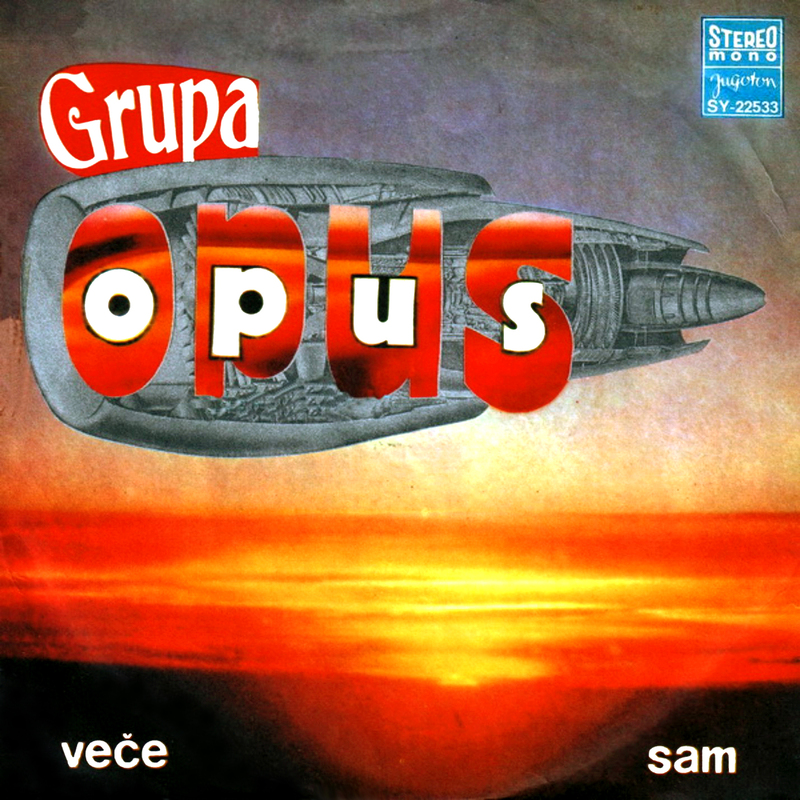 On to track eleven and a band that didn't record much but seem to have been around for about five years, Pop Show Grupa. 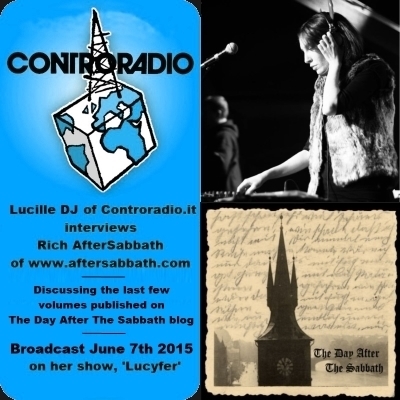 The track here is a heavy, punky fuzz monster! They made two singles like this, plus the mystery single "Malaika / Sisi Tunakupenda" which appeared five years later in 1979, and seems to have a collaboration with a Belgrade-based Kenyan musician called Steven Hannington. I have not heard this third one so can only guess what it sounds like, though Discogs categorises it under "Folk, World, & Country, Funk / Soul, Pop". 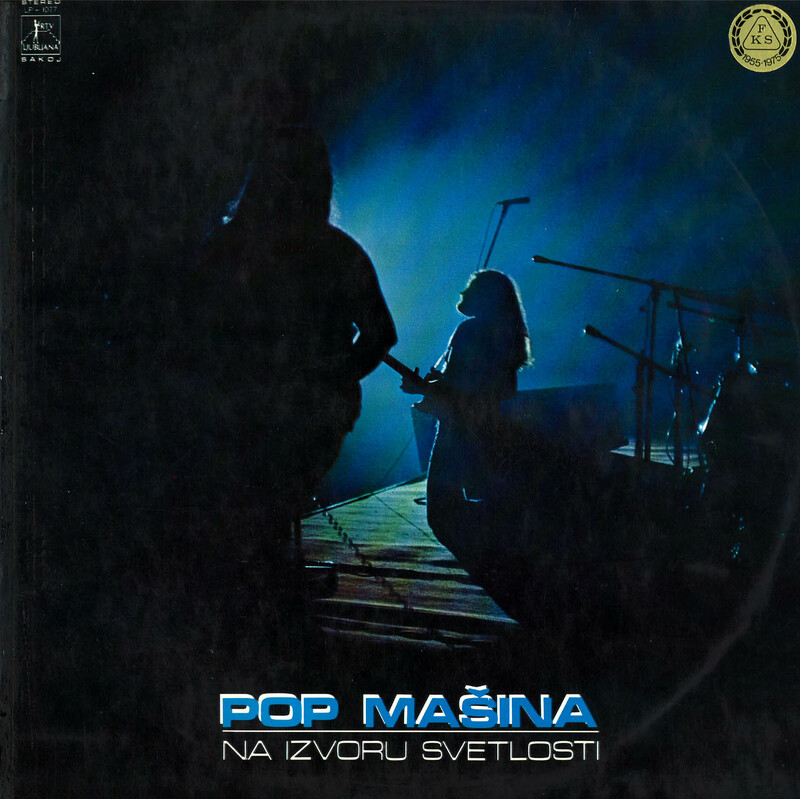 I consider there to be a 'big three' of heavy Serbain bands from the former half of the '70s, YU Grupa and Smak have already appeared so now it's time for the last of that trio, Pop Mašina (Pop Machine). 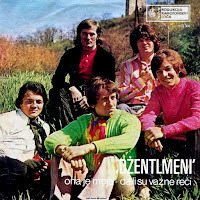 They were formed in Belgrade in 1972 by Robert Nemeček (bass, vocals - formerly of Dogovor Iz 1804 and Džentlmeni. The other formative members on their two studio albums were Mihajlo Popović (drums) and Zoran Božinović (guitar - formerly in Džentlmeni). Their 1973 debut LP "Kiselina" (Acid), had contributions from members of S Vremena Na Vreme, Grupa SOS and acoustic band Dag. Although excelling in their heavy rock tracks like "Svemirska Prièa," the band played an equal amount of acoustic pop and folk-infused songs in a similar approach to Led Zep's album 'III'. The second and final studio album "Na Izvoru Svetlosti" (At the Spring of Light) followed suit, having a little more emphasis on the hard rock, with a great opener which is the track I have used in this comp, "Vreme za Nas". Track 2 gives you a good idea of their stage show with a live-recorded blues workout. Over-all this album is more consistent and you can hear the improved arrangements and more confident playing. In 1976 Robert Nemeček left the band due to army obligations; up until 2011 Serbia demanded mandatory military service of 6 months for men. Other personnel changes happened and the last recording from the band was a great single in 1977. By this time they had expanded to a four-piece with two guitarists and it's a shame they did not go through with a proposed third album as the progression is evident in "Moja Pesma" (youtube). New additions were Dušan Petrović (bass - Džentlmeni), Dušan Đukić (drums - also in Dah) and Vidoje Božinović (guitar - Dah, Opus, Riblja Čorba), with Zoran Božinović remaining from before on guitar & vocals. 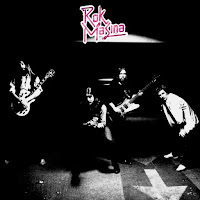 In 1981 Robert Nemeček returned on bass and the band was reborn with a harder sound as Rok Mašina. Vladan Dokić of Pop Show Grupa entered on drums. Zoran Božinović and Vidoja Božinović remained on guitars from the previous Pop Mašina lineup. Coming up now is a bit of a diversion, with one of the latest-recorded tracks in the comp we encounter some space rock. In searches through the Serbian '70s this is the only example of such I have come across, but as I am coming to expect from this country it is brilliant. 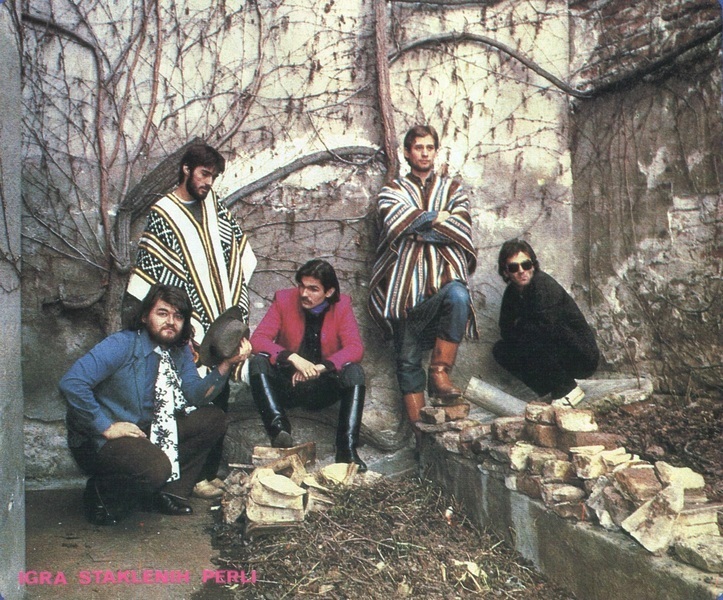 Igra Staklenih Perli ("The Glass Bead Game" - a futuristic existential book by Herman Hesse) made a debut album in 1979 and a second, final one in 1980. This track is taken from the first, and it's an ethereal, immersive experience you can get lost in, brilliantly layering electronics and repetitive riffs in the best traditions of Hawkwind and the krautrock masters. Over that is some beautiful guitar work with a hint of Balkan folk. Bassist Draško Nikodijević and guitarist Vojkan Rakić later formed the post-punk/neo-psych White Rabbit Band and in the late 1980s moved to the USA where they continued under the name White Rabbit Cult. On the home straight now we come to the beginnings of Serbian heavy metal and Riblja Čorba. 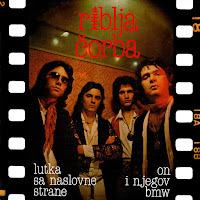 As mentioned before, by 1978 the members of Grupa SOS; bass player Miroslav Aleksić, Rajko Kojić (guitar), drummer Vicko Milatović and Bora Đorđević (ex-Suncokret & Rani Mraz, vocals, acoustic guitar and songwriter) became Riblja Čorba (Fish Stew). I have used a track from their 1979 debut album "Kost u Grlu", which is equal parts punk and heavy metal. The band went on to acclaim and is one of Yugoslavia!s most successful bands. They have released albums as recently as 2012's "Uzbuna". Guitarist Zlatko Manojlović returns with a band called Dah (breath) that he co-founded in 1972. 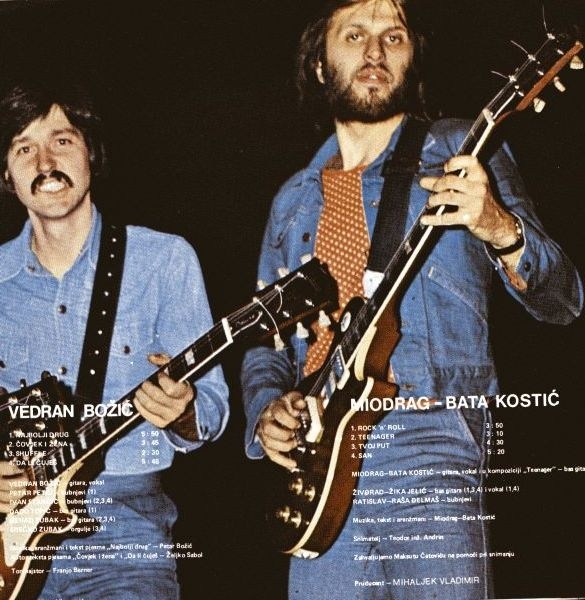 By the time of their first album in 1974, Branko Gluščević was on bass, Velibor Boka Bogdanović was on drums and Zlatko was leading on guitar. Veliki Cirkus (The Big Circus) was an ambitious excursion and another of Serbia's earliest progressive rock LPs. It incorporates '60s style psych with blues, country and hard rock in a quirky and original brew, supported by Zlatko's always-brilliant guitar work. In 1975 the band moved to Belgium, where they performed under the name Land, reportedly going in a more symph/jazz direction and making an album under that name called "Cool Breeze", although I have found very little info on that record and not heard it yet. During this time they had radio success with a single called "Šošana" and played on stage with Focus. After returning to Serbia they made one more album, called "Povratak" before Zlatko had to take a break to perform military service. The band did not last much longer and after completing his service Zlatko started a new band called Gordi which switched to heavy metal in the '80s. 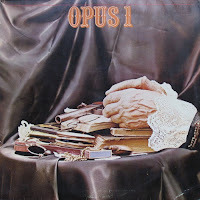 We reach the end of another TDATS with a band called Opus, that have been mentioned a couple of times already. This is a great song to end on, a single that is more punchy than their LP which came out a year later. Opus started in 1973 and the original line-up included the founder and organist Miodrag Okrugić, guitar player Miodrag Kostić and bassist Dušan Ćućuz (ex-Džentlmeni), but soon they split. They were named after Okrugić's composition "Opus No. 1" which he scored during his tenure with the band Yu Grupa. Okrugić re-formed Opus in 1975 with bassist Slobodan Orlić, drummer Ljubomir Jerković and singer Dušan Prelević (ex Korni grupa) and soon they recorded their debut "Opus 1", done in the symphonic rock style, with a few heavy moments like track "Dolina Bisera" (youtube). It failed to draw attention of the public and the band split again. In various incarnations guitar players in this period were Ljubo Sedlar, Zoran Dasić and Vidoja Bozinović. The final line-up from the 1977 re-formation included Okrugić, Orlić, drummer Zelimir Vasić and guitar player Milan Matić, but after fruitless attempts they finally disbanded for good. In addition to their only LP album, they recorded three singles from 1974-77. If you have listened all the way to the end of these songs I think you'll agree that the former Yugoslavia has a natural aptitude for rock music and an amazing number of consistently good musicians and singers. The mind boggles at what more is out there to discover from other parts of the Balkans, but I'll most certainly be doing my best to find out! This is the first part of a special on the Cardiff band, Universe. I downloaded their album some time ago (see vol40) and was immediately impressed with it, which I have previously compared to the earthy, blue collar rock of other one-album British heavy bluesrock bands, Leaf Hound and Stonehouse (see Stonehouse interview). During the band's life they supported such TDATS heros as Pink Fairies, Raw Material, Patto, Man and Writing on the Wall. Their original album was first released privately in only 300 copies, in Norway in 1971, so it's one of those mythical rarities that you'll probably never find in a lifetime. Luckily the now-defunct Norwegian label Colours re-issued it in a nice package back in 1991, which has now become very collectible itself. The story of how this transient Welsh band came to release their only album in Norway is an interesting one, about which I was unable uncover anything other than hearsay and scant online comments, until I recently got a copy of the 1991 Colours vinyl. I was extremely happy to see it includes a great little booklet with photos and an interview with Universe guitarist / singer / harmonica player Steve Finn. The original lineup of the band was Steve, Mike Lloyd Jones (lead guitar), John Healan (bass), Mike Blanche (organ) and Rob Reynolds (drums). Steve Keeley replaced Rob Reynolds in 1970. Steve Finn was later in Sassafras, and Steve Keeley had been in Kimla Taz, which ties in nicely with TDATS volume 54 (Wales) as both those bands appear on there. What I have done here is transcribed the full Colours booklet, and scanned the photos. I think it's important that this information is up on the net for all to see. 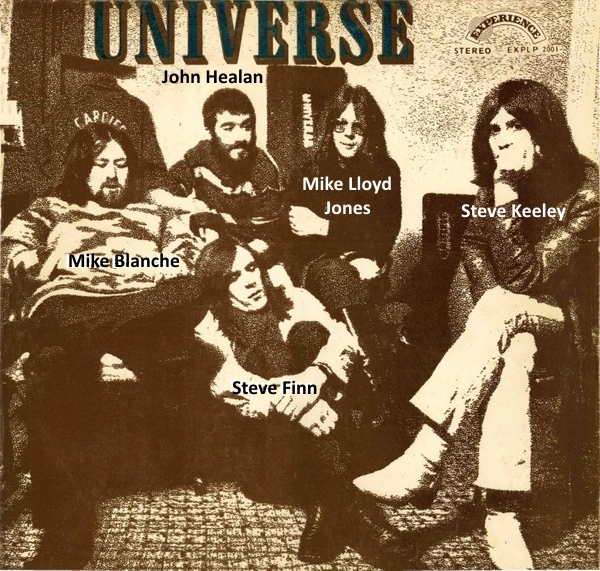 I have also recently contacted Steve Finn, and he has agreed to answer some new questions about Universe and his own career, bearing in mind that the following interview is now almost 25 years old. 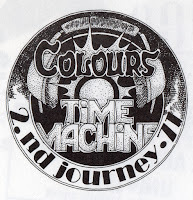 In part 2 I will show the results of that, along with some info on the second Universe release from Colours just before it dissolved in 1993, The Wheel. If anyone has specific questions they'd like me to ask Steve, send me an email. 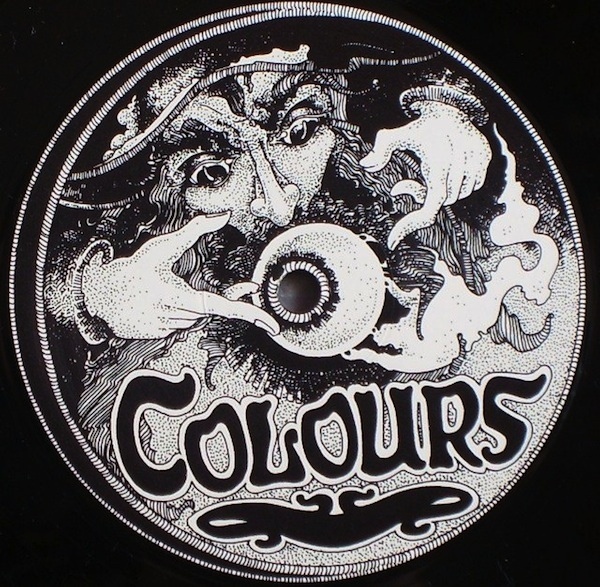 Colours was a record label based in Skien, Norway, which existed between 1989 and 1994 .The first release was the local band Utopian Fields with Bård Tufte Johansen on vocals. 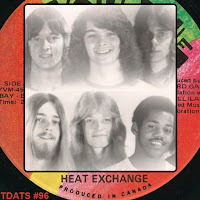 The releases were primarily prog rock, but the company also released records from folk rock band Shine Dion and the Deep Purple-inspired Disciples of Love, both being local bands. Besides releasing new music from both Norway and Sweden, the label archived long-dead and forgotten bands like Universe. In these instances they went to special efforts to include posters, booklets and other historical tidbits. They were in very limited editions and today are coveted as collectibles. 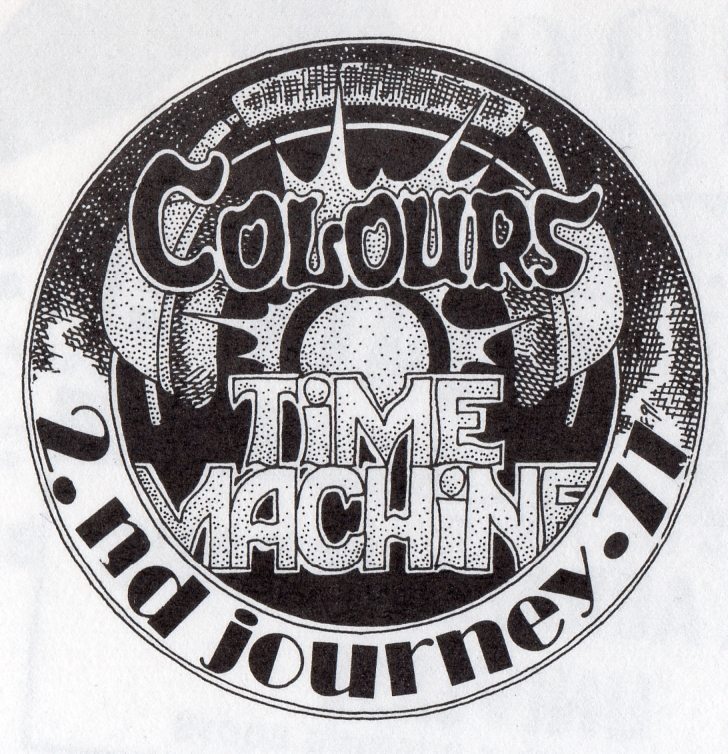 Welcome on board, Ladies and Gentlemen, to the second journey of Colours Time Machine. My name is Jørn Andersen and I’m the Captain of this journey. This time we will take you back to the very early, and oh so legendary seventies. Right back to the time when the Universe was founded. When I finally in 1990, after years and years in search of the Universe, could lay my greedy hands on a rather scratched copy of Universe's sole album, I was no less than happy. Come days later when I was down to earth again my mind was set up. If any privately released obscure album from those days deserved a legal reissue, this was it. The preparation for the journey started with getting in contact with Nils J. Øybakken who was the man behind Experience Records Ltd. (wiki). In March 1971 he stumbled over Universe, one of the many times their van broke down during their freezy virgin-tour of the north of Norway. The year before he had set up his own studio in the basement of his father’s shop, and the now extremely rare and legendary first single with Prudence (see Norwegian volume 81) had just been released on his newly founded label: Experience. So what could suit better than a hungry English band to fill up the studio. The original idea was to cut a single but the session was obviously inspiring because a full album was in the can before the tapes stopped. The single “A woman’s shape” backed with “Rolling” was issued with a picture sleeve (EXP 3002) in a total edition of less than 1000 copies. The A-side did not make it to the LP, nor the reissue, but will be included on a possible CD release on Colours later. 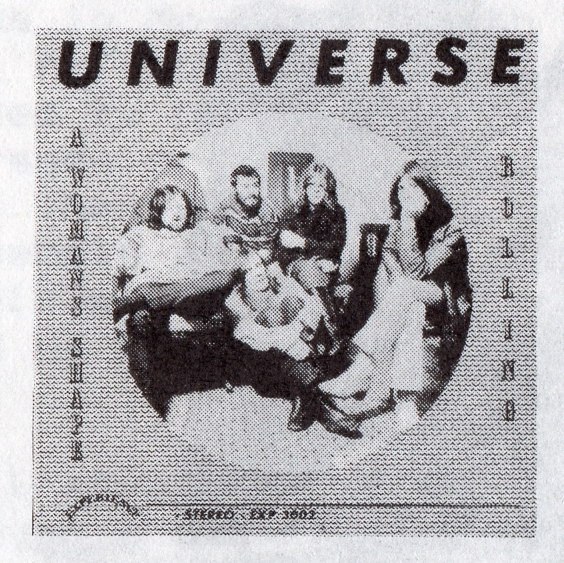 The album, simply called “UNIVERSE”, was released in a total amount of 300 copies. The extremely few copies pressed, together with the fact that it was only on sale in the middle and north part of Norway, makes this one of the absolute rarest albums with any English group from the progressive area. Colours are proud to present this album for the listeners all over the world, as it is now released for the first time outside of Norway. Q: When was Universe founded and who was in the band at various times? A: We formed in 1968 as a blues band called “SPOONFULL”. The line-up was: Mike Lloyd Jones (lead guitar), John Healan (bass), Mike Blanche (organ), Steve Finn (vocals and harmonica) and Rob Reynolds (drums). This original line-up changed its name in 1970 to Universe and began writing and performing original songs as a change of direction from American blues music. Our musical influences at that time were Yes, Jethro Tull, Family, Eyes of Blue and Man (these last two being Welsh bands). 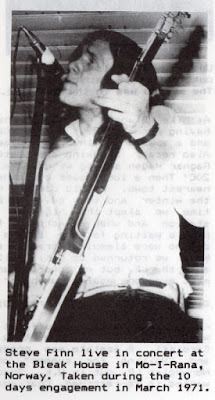 A change of drummer occurred in December 1970, when Steve Keeley replaced Rob Reynolds. Q: Apart from playing in Norway, did you play any other countries in Europe? A: We played lots of tours in Europe. We played Copenhagen in Denmark and in Germany we played Kiel, Munich and Hamburg (at the Top Ten Club where the Beatles started out). 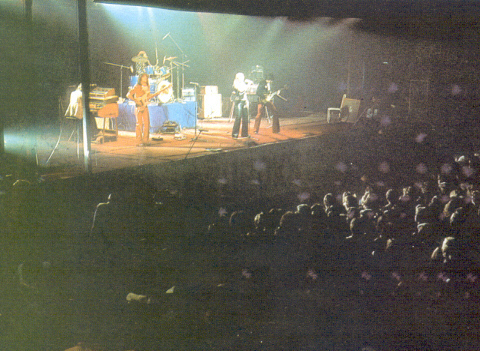 We also did a tour of Denmark with Johnny Winter and Iron Butterfly. Q: It seems like Universe is rather unknown in England. Is it because you never played there or what? A: One reason might be that we spent most of our time gigging abroad. 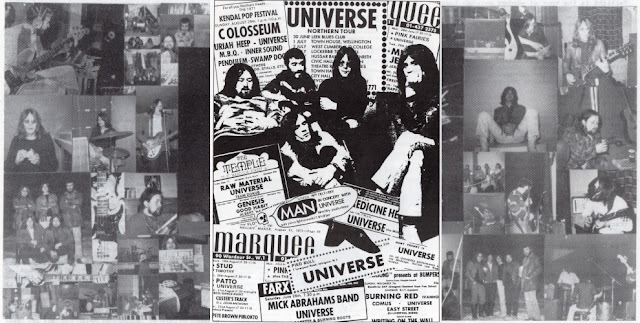 In UK we played at the Marquee and other London clubs and did many collage gigs supporting Yes, Fleetwood Mac, Rory Gallagher, Jethro Tull, Chicken Shack, Man, Black Sabbath and many other early 70s bands. Q: About the tour in Norway, it seems like a lot of things went wrong. On the 16th March the newspaper “Adresseavisa” in Trondheim had an article about this English “pop group” who got only 5 kroner (about 50 pence) to live for a day and had to sleep at the railway station where their baggage was stolen. They wrote that the trouble started when you didn’t get the final message about the tour dates due to a post strike in England. You left for Norway anyhow, meanwhile the agent had found another English band in Demark, called Strange Fox, engaging them for your gigs under your name. But they regretted and the agent had to fabricate a story about a car accident as the reason for the delay. They also wrote that when you arrived it was only to experience that no working permission was arranged for you in Norway, and the police got involved. Finally they let you go further on after you had promised to report yourselves to the police at every new place you arrived! Seems like quite a tour! Did you play in the south as well, and did you play with any Norwegian bands? A: We started the tour of Norway in Feb/March of 1971, but only played gigs in the northern part of the country as half way through the tour our agent Ragnar Hagen left us in Mo-I-Rana with no money, no food and no gigs. He returned to Oslo, and we have never seen or heard from him since. Then we met some very kind people who helped us to stay alive at that time by giving us food and somewhere to sleep. We will always be grateful to them even though we can no longer remember who they were. We once spent 10 days at a club in Mo called Bleak House living and sleeping in the dressing room, but eventually got to Mosjøen and met Nils. The track on the LP was our way of saying thank you to Anton Solberg and his Bleak House, it was the only way we could (listen to the lyrics). Nils and his parents were very good to us and gave us food. We stayed at a youth hostel and did some recordings with Nils for a single, which grew into an LP. I cannot remember meeting any Norwegian bands or musicians but 20 years is a fair time to go back. We eventually got enough money to get to Oslo, then Copenhagen where we played for 2 weeks at the Revolution Club and then returned to Hamburg for a month before getting home to Wales. It was an amazing time when we had a lot of fun and some hard times, and met some wonderful people. Q: Nils told me some good stories about the session. When you were loading the equipment down to his studios the organ player tried to get his heavy L-100 Hammond organ down the stairs. Suddenly he cried “Look out!” and down the stairs went the organ. The steps were not good looking afterwards! You were also changing the speakers from the song-speaker to the guitar-speaker and back again all the time. You did also lose some equipment, didn’t you? A: Mike Blanche remembers the van breaking down and us not having enough money to pay the garage. They took an amplifier and a speaker cabinet as payment and the police let us leave. Also recall breaking down late at night on a lonely road and Ragnar Hagen saying we only had 20 minutes to live as it was -20C! Then a lorry came down the road and gave us a lift to the nearest town. An old couple had a hotel that was closed for the winter and they gave us beds and food for free. Another time we slept the night in the waiting room of a railway station and when we woke in the morning the place was full of people waiting for the trains and none of them could sit down because we were sleeping straight out on all the seats. When we returned to the UK, Nils sent us copies of the single and the LP, but no covers, and we always hoped to go back and meet everyone again, but never did. Q: Did you do any other recordings as Universe ? A: We recorded some stuff at Rockfield studios in Monmouth, which was used at the time by Dave Edmunds (who is from Cardiff). An acetate was pressed up with “Shadow of the sun” and “Waiting for summer” on it. We hoped to bring the Norwegian LP out in the UK, Track and Island were interested but wanted it re-recorded. Charisma too liked our songs. Also possibly available may be some other recordings in 71/72 when we changed our style to be a bit more rock, and the songs were shorter and more commercial. Record companies in the UK always want hit singles. Q: If those tapes can be unearthed and all parts can agree there is a possibility for a second Universe LP on Colours later on. But when did Universe split? A: The group finally split in 72 when it was becoming difficult to carry on from a financial point – we were not making enough money to continue. Q: What have the members been up to musically after the split? A: Mike Lloyd Jones played with Shakin' Stevens from 74 to 78 and made several LP’s. Since then he has played with local bands in Cardiff and has songwriting connections with publishers in London. He is currently setting up a music production company in Cardiff. Mike Blanche (known in Universe as Sponge) has produced recording sessions for the Cadillacs (former members of Racing Cars and Lone Star) resulting in 2 singles, also the Boys and Cartoon (Welsh band who toured Scandinavia in the late 80’s). John Healan moved to Cornwall in South West of England in the mid 70’s and now plays Country & Western music. We are still great friends and see each other 2 to 3 times a year. Steve Keeley did not play music after Universe. He got married and had some kids and sadly died of leukemia (blood cancer) in 1981, aged 31. It was very sad to lose a great friend. Steve Finn continued song writing and solo performing in folk clubs and wine bars. Wrote songs for the first Sassafras LP “Expecting company” on Poloydor (2383 245). Was asked to join the band as bass player in UJune 74 – not my favourite instrument to play. Wrote most of the songs for the “Wheeling & dealing” LP on Chrysalis (CHR 1076), released April 75. Did UK tours with Black Oak Arkansas and Stackridge, tour of Holland with Ace and played France, Belgium and Yugoslavia. Month-long US tour supporting Ten Years After and Peter Frampton. The band was also featured on Chrysalis LP “End of the Rainbow” where they had two live tracks. Left at the end of 75 as I hated playing bass guitar. The band made a third LP “Riding high” before being dropped by Chrysalis (CHR 1100). I then made one LP with Southern Comfort (Country & Western, not to be confused with the ex-MSC band) in 76/77. I am still a solo performer and have released two cassettes of my own songs for sale at gigs. In Nov 89 supported Ralph McTell on UK tour and have a song-writing contract with Acuff-Rose Music Publishers in London and Nashville USA. I currently have songs with Joe Cocker, Kenny Rogers, Hank Williams Jr. and Bellamy Brothers. The Universe LP was also released by Swedish label Flawed Gems last year (2014) on CD, with a few extras that were not on the 1991 Colours vinyl, being the single "A Woman's Shape" recorded during the album session mentioned in the above interview, and the 1970 acetate, also mentioned. There's a short write-up on the back of the CD which gives nothing more away, and also omits to mention that the band was British, from Wales: "The music here is great guitar-driven hard-ish rock with some blues and progressive elements - similar to early Wishbone Ash, Thin Lizzy, Man and Hackensack". This is the description of Flawed Gems over at Discogs (link): "Deemed a bootleg / unofficial label by many, even though many of their releases have an address and barcode (but lack proper matrix or IFPI code). Most seem to be taken from vinyl. Flawed Gems releases should be marked Unofficial on Discogs". Last year saw another release of the album on a mysterious label called Nemo (NEM 1002) (link). Thanks for reading and watch out for further questions to be answered by Steve. As I said before, if you have any specific questions please let me know by email, Rich. Recorded in a small Lydstudio in Mosjøen 1971. Thanks to Steve Finn, Nils J. Øybakken, Morten Jensen. This release is a limited edition of 1000 copies on LP.